They must apply to everyone, or they mean nothing. Do you understand? Every 4th of July, it has become my tradition to run this excerpt from “The Omega Glory,” episode #52 of Star Trek. (I’m running it a day early for 2018 — we need it.) 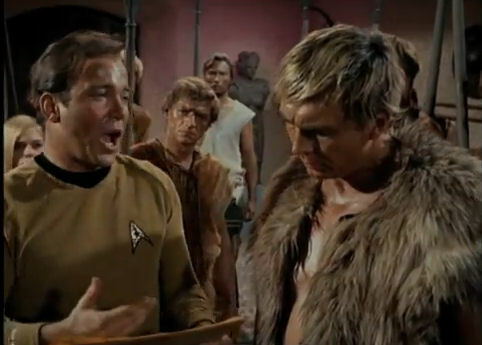 Written by series creator Gene Roddenberry (himself a WWII vet and LAPD officer), the episode takes Kirk, Spock, and McCoy to a planet revealed to have an almost too coincidental parallel history with Earth’s. It takes a Canadian-born actor playing an Iowan farm boy grown up to be a Federation hero to give us the dramatic interpretation of what should make America great. It’s not the Declaration of Independence, which we celebrate on the 4th. Kirk quotes the preamble to the Constitution. “No words… have said this thing of importance in quite this way.” Happy 4th of July to my fellow Americans, and to our global audience — well, we don’t always live up to these words, but we try. “They must apply to everyone, or they mean nothing. Do you understand?” I do, more than ever. I rewrite this introduction every year — and this year, I’m holding on to Kirk’s words with all my might.